Lots of wonderful specials going on in all the stores this month, many have Easter sales happening! On a sad note, Scrappin Jungle will be closing shortly. Thank you Mandy for hosting the store and providing an opportunity for designers to sell their scraps. for a 10 dollar coupon to spend here in the store! The more you shop, the more entries to the draw! visit us 10 times and shop 10 times, = 10 entries to the draw! Glam n Glitter has an Easter blog train happening (details to follow shortly) and a CU collab available for free with a $10 purchase. Kreative Kreations Korner has had a few gremlins the past month but the problems have finally been solved. 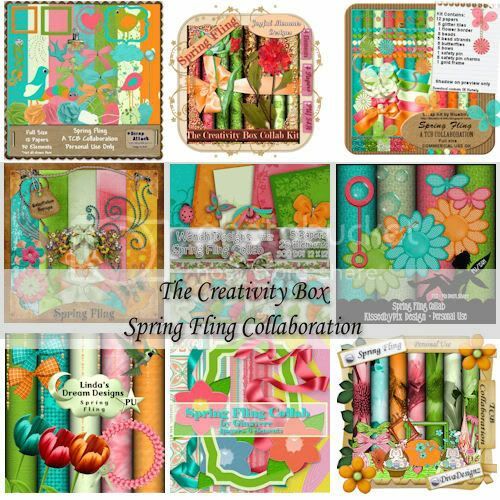 Come and join the forum and participate in the scrap challenges and chat with some of the designers. Lots of great bargains to be had in the store. I hope everyone has a wonderful Easter break and if you are driving please stay safe on the roads.